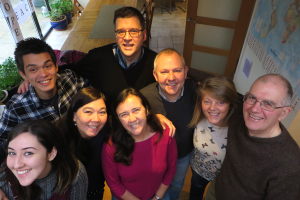 We’re Christian charity who are excited to spread fun, friendship and faith – to connect young people, youth leaders, teachers and local churches in Hemel Hempstead and Kings Langley so that we may encourage each other in our faith-fuelled journey. By hosting free, town-wide youth events, we aim to encourage young people, whether they have a Christian faith, a different faith or no faith at all, to discover more about Christianity in fun and relaxing spaces. By serving schools through clubs, reflection spaces, assemblies and lesson plans, we aspire to invite young people to consider the dynamic truth of the gospels and to witness how faith in Jesus provides hope, love and a live-changing, impact across the globe. And we invite teachers to join our networking breakfasts to have down-time with each other as well as gain support from local church leaders. Have a peek at our video showing some of our events, look around the site to see what we’ve been up to and check out what’s coming up. We hope to meet you soon! Paul – Adeyfield Free Church, Danie and Katie – Expressions Academy, Lisa – Hemel Hempstead Community Church, Nikki – Hemel Hempstead Methodist Church, Nicole – Hemel Vineyard Church, Steve New Hope Christian Fellowship, Dean and Ruth – Missionaries, Anna and Damon – South Hill Church. YAHemel is a registered charity (no. 1179672).